In *MAT_FABRIC, element formulation 4 & 14 will allow you to input unloading curve for the material. Recently in a model it was noticed, that when a large compressive stress develops in the fibers, lsdyna would release some of these stresses by inverting the elements and thus leading to numerical instability. This could be avoided by activating compressive stress elimination, CSE=1. However, it still does not improve the fabric behavior with the current unloading method. A new option was implemented to overcome this. This option can be activated by using a “negative” unload curve. Unlike the current way where the unload curve will get shifted to the yield point, the unload curve is stretched along the x-axis to intersect the current yield point, so that the first data-point is always at (0,0). This will allow the stress to follow a more physically realistic unloading path, where the stress is positive and does not return to zero until the tensile strain reaches zero. Hence, this option does not require compressive stress elimination to be active and will also give a better correlation with actual fabric behavior compared to the current method. The following picture shows the typical way of defining unloading curve for negative load curve option. 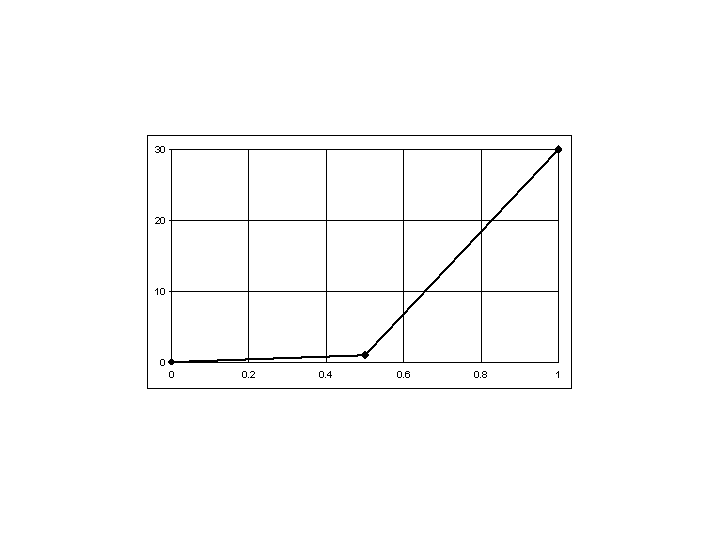 The initial slope should be defined which will be lower than the loading curve, then the slope can gradually increase such that it intersects the loading curve at a positive strain value. Figure 1. Unloading curve signature when using negative load curve option. Figure 2. Animation with current input scheme for unloading. Figure 3. Animation with new input scheme (negative load curve option) for unloading. I would like to thank Dr. Lee Bindeman for his feedback and sharing information regarding the above discussed topic.